Jesska Denise: Mastering : Winged Eyeliner. When it comes to my make up I'm usually not very adventurous. It find it hard to find a foundation that actually matches my skin so when I'm not matching I usually don't want to draw too much attention to my cakey orange face, we've all been there lets not lie. Lately however, I've wanted to branch out and move away from my simple everyday look. After watching a few videos on youtube (my inner self wishes she was a pro at this kinda thing) I decided to take the plunge ~this is all very dramatic isn't it?~ and dress up my eyes with a little flick. After the 11th or 13th try it came out pretty okay. I really spent more time trying to get one eye to match the other than I did creating the line. I may or may not have almost lost an eye in the process. 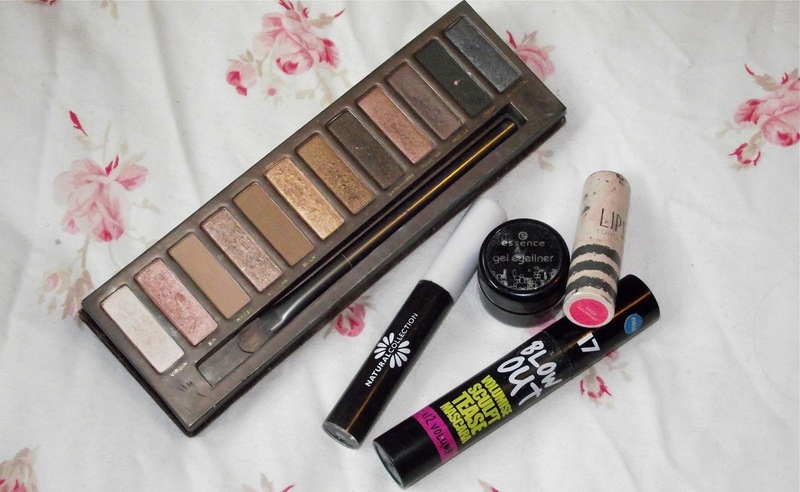 Urban Decay Naked Palette (here) Essence Gel Eyeliner (here) Topshop Brighton Rock Lipstick (here). 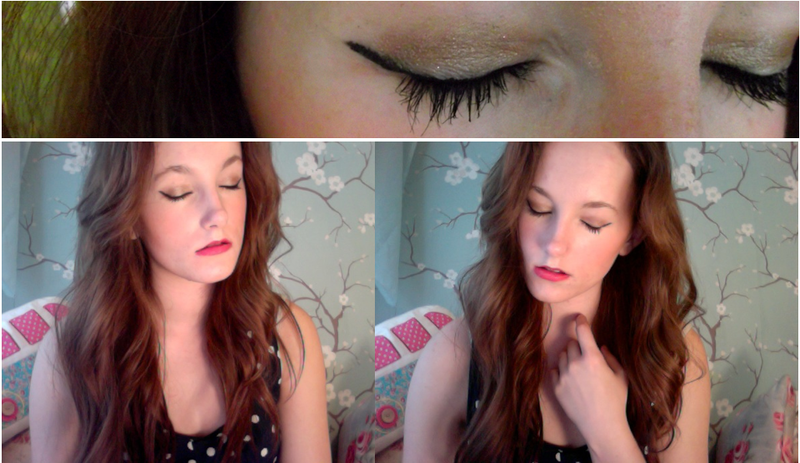 For my eye's I used "naked" from the 'Naked Palette' along with "sidecar" just to give that lil bit of shimmer. I combined my 'Essence' gel eyeliner with the 'Natural Collection' liquid liner to give a solid black line. I found that the gel just didn't want to move seamlessly across my eyelid and I was left with a few blotches. I'm really eager to try 'NYX' "The Curve" it looks perfect. I finished off the look with '17' "Blowout" mascara and a 'Topshop' lipstick. I'm definitely going to keep trying this out until I get the hang of it. I've had a few of you tweeting me telling me to wet the brush next time and I might even use a bit of tape to help draw the flick at the corner of my eye. Practice, practice, practice. Haha, ahhh I am so rubbish at doing winged eyeliner! I don't know what it is, but I just cannot seem to get the angle right. I ALWAYS end up giving up - and don't even get me started on trying to get them to match! It look so easy, I just cannot get my head around why it isn't! It doesn't help that I've got a wonky lash-line either. Looks like you did a good job in the end, looks lovely. Looks great :) You're so pretty! Very pretty I'm rubbish at winged liner! I really want to master the winged liner. It's the best look ever in my opinion! I want to try the NYX liner too. Looks quite cool! Great look ! It is definitely hard to master !